Overwatch is one of the best and most popular competitive FPS (first person shooter) out there. Although not everyone can play it. Luckily, it’s available on both PC & Consoles for if you don’t have a powerful enough PC. 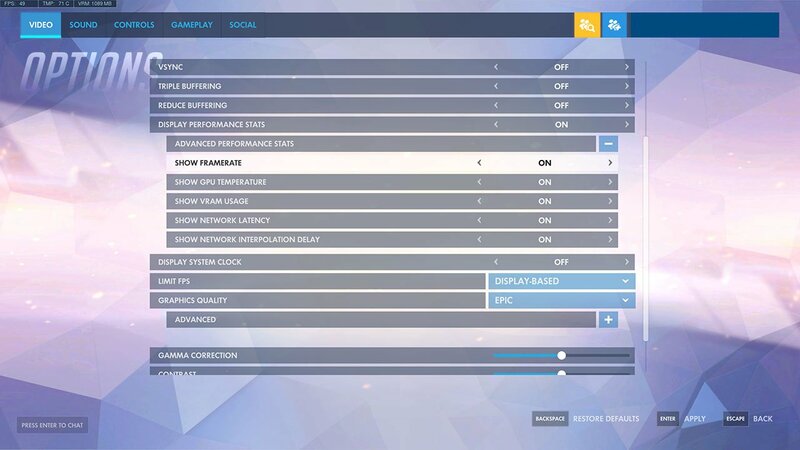 If you can just about run Overwatch on PC, you’re probably looking to increase the FPS (frames per second). You need to be able to hit at least 30 FPS to have an enjoyable experience, whilst 60 FPS is more ideal. You have a little bit of control and options you can change to potentially increase your frames per second. Below, you can see our quick guide and recommendations, whilst we’ve covered more Overwatch Guides here at PwrDown. The first thing we can do is head into the graphics settings. Open the options menu and open the ‘Video’ section. Use the ‘Low’ preset next to Graphics Quality which will give the biggest boost to FPS. Next, make sure the ‘Display mode’ is set to Fullscreen. 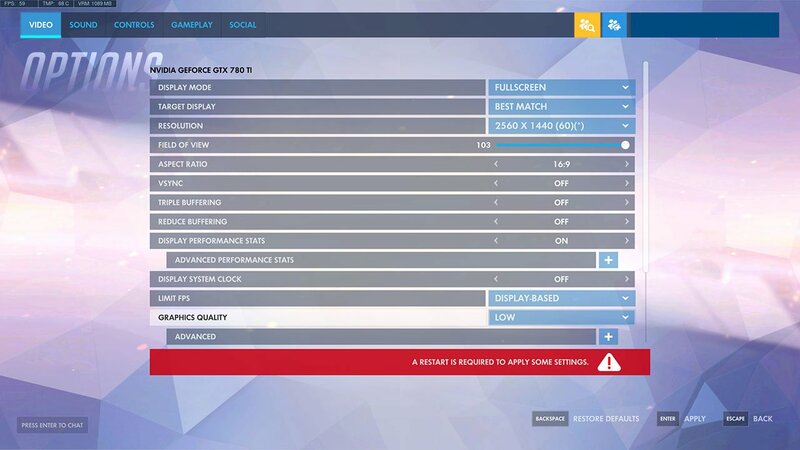 This will help make sure background tasks aren’t getting as much resources, so they’re all being designated to Overwatch. If you’re still not getting enough FPS, you can try lowering down the resolution. This is going to make the biggest difference in game quality, lowering it completely. However it will give a small boost to your FPS. If none of this works, it’s probable that your PC isn’t powerful enough and that you will need to upgrade. You can enable an FPS Counter to display in-game, so that you can keep an eye on performance. In the video section, enable ‘Display performance stats’, and inside there, make sure ‘Show Framerate’ is switched on. When in a game, you will see your frame rate in the top left corner of the screen, as well as other useful information including ping.